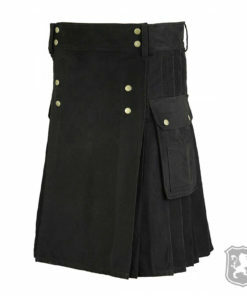 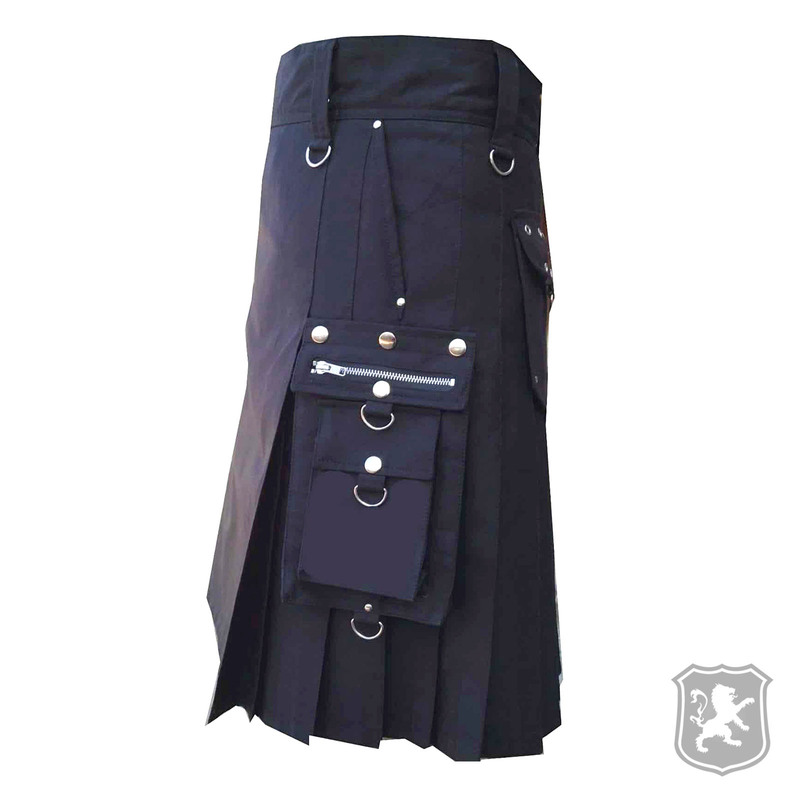 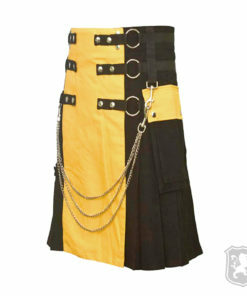 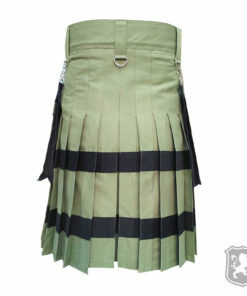 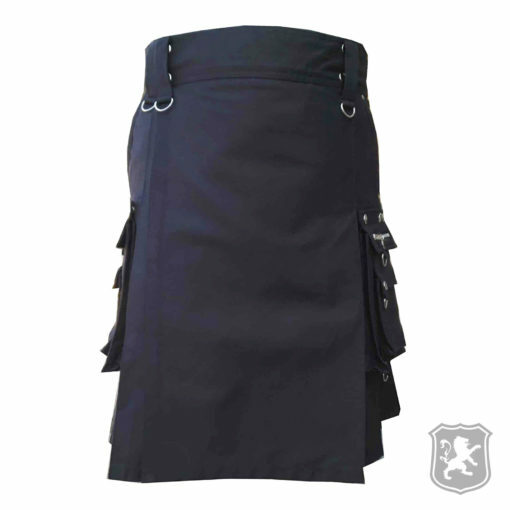 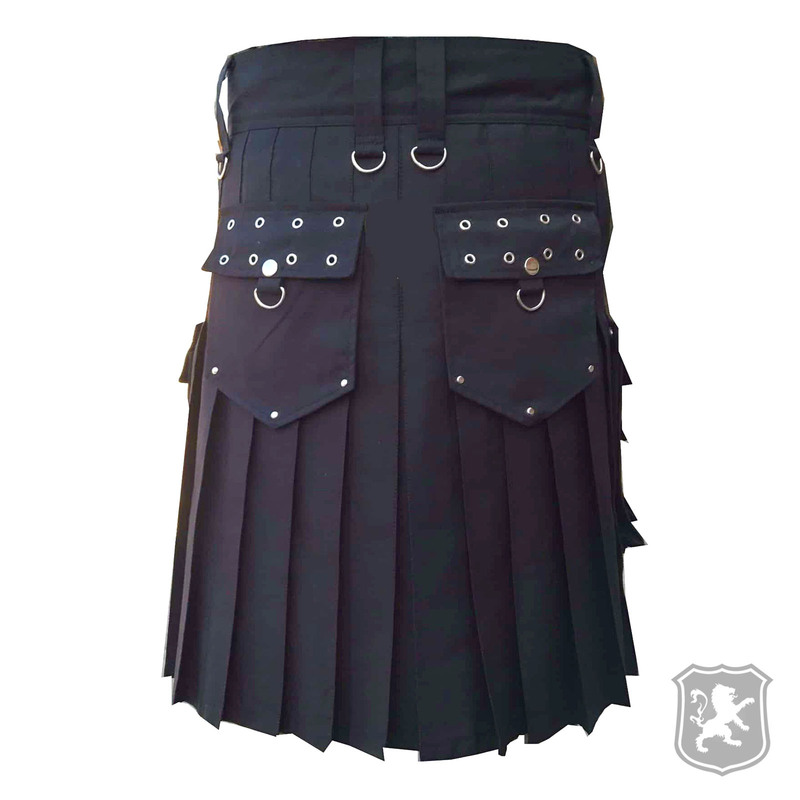 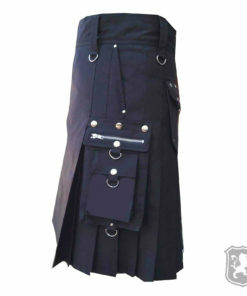 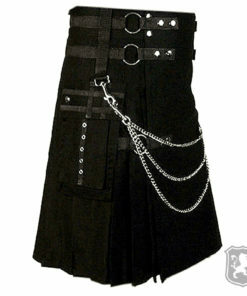 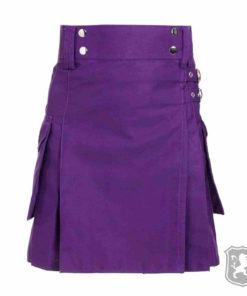 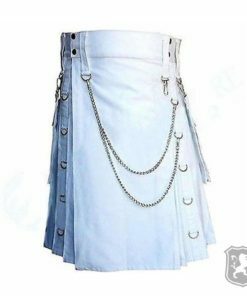 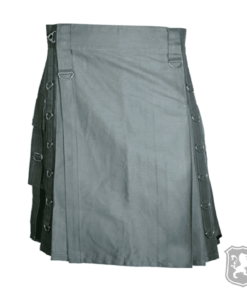 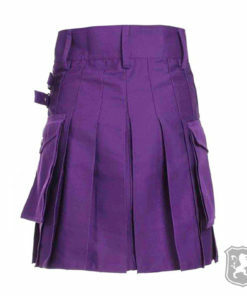 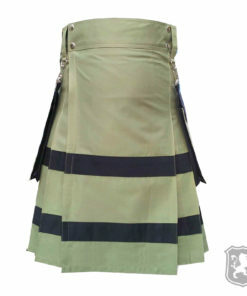 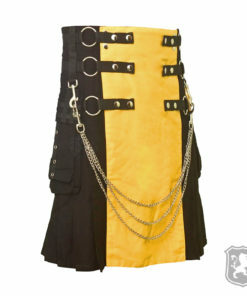 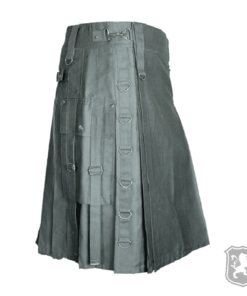 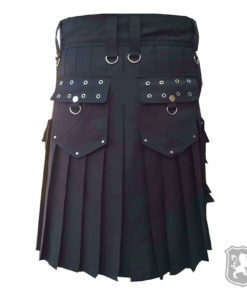 The Gothic Kilt For Steampunk is a kilt specially designed for Goth and Steampunk devotees. 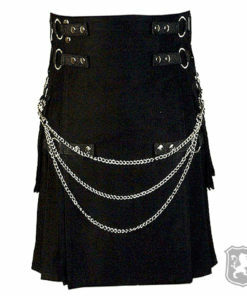 It has antique metal decorations to go with our Goth/Steampunk design. 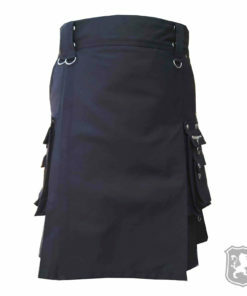 On the front side, it is very plain and simple with very few decorations. 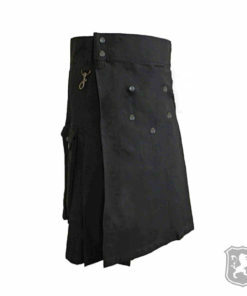 It has chrome hooks that are attached to the belt holders. We’ve used a special kind of material on this kilt that doesn’t gets wrinkles easily. 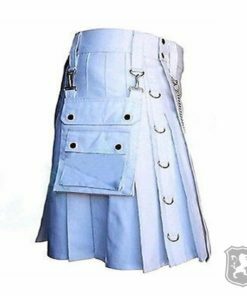 On the side, you will see two large flap pockets with extra small pocket on top of them and there are two other pockets on the back side. 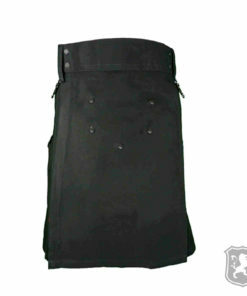 The flap is decorated with chrome buttons, hooks and zipper. 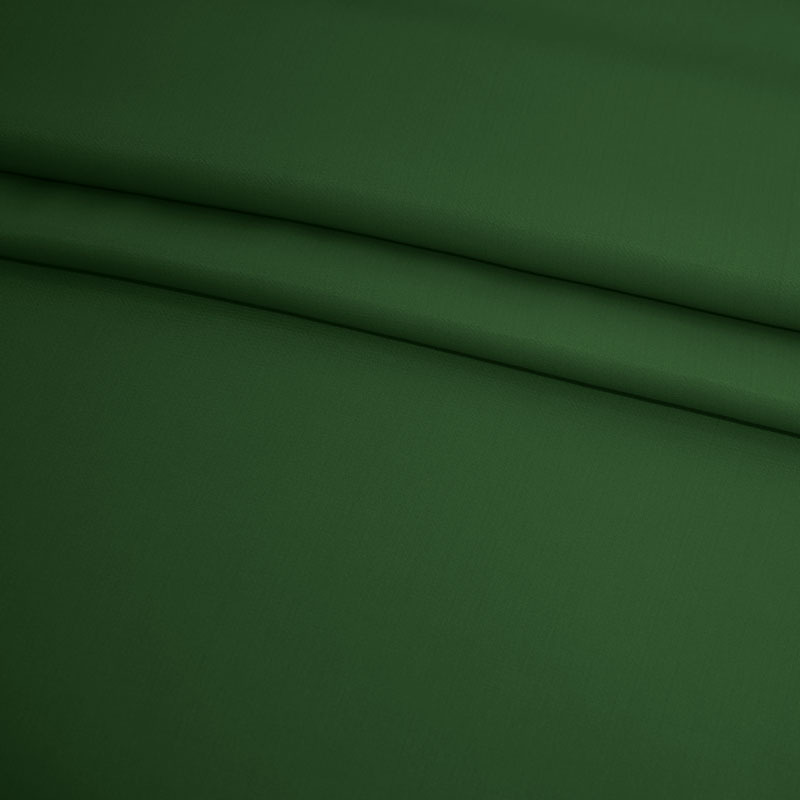 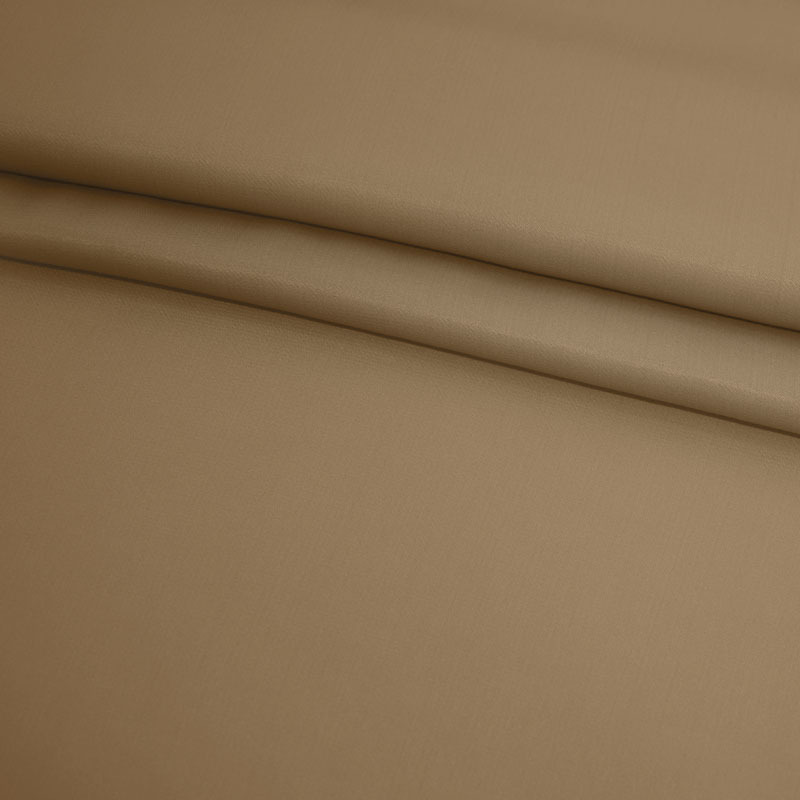 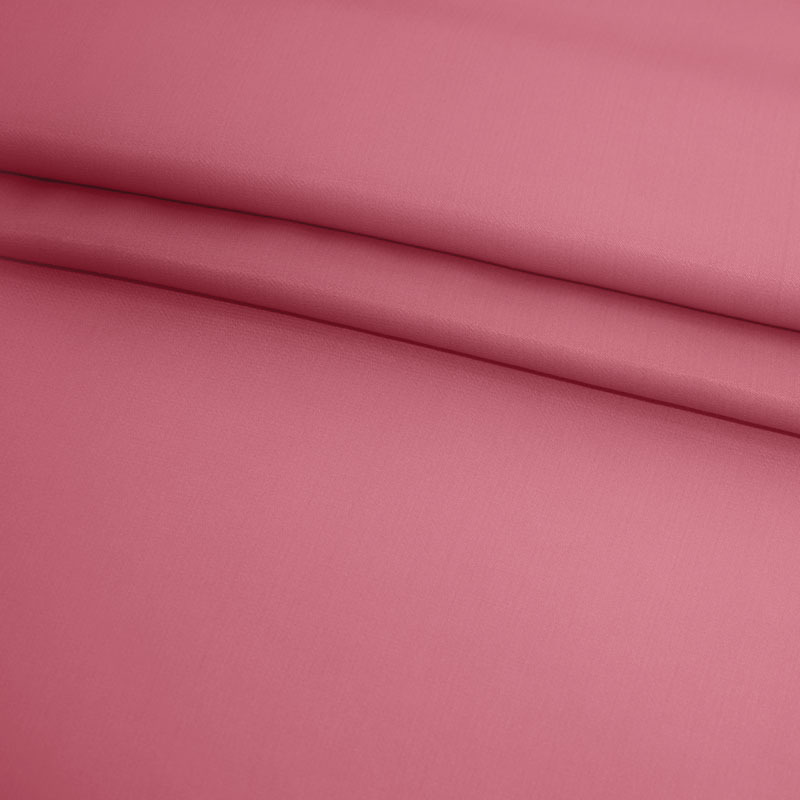 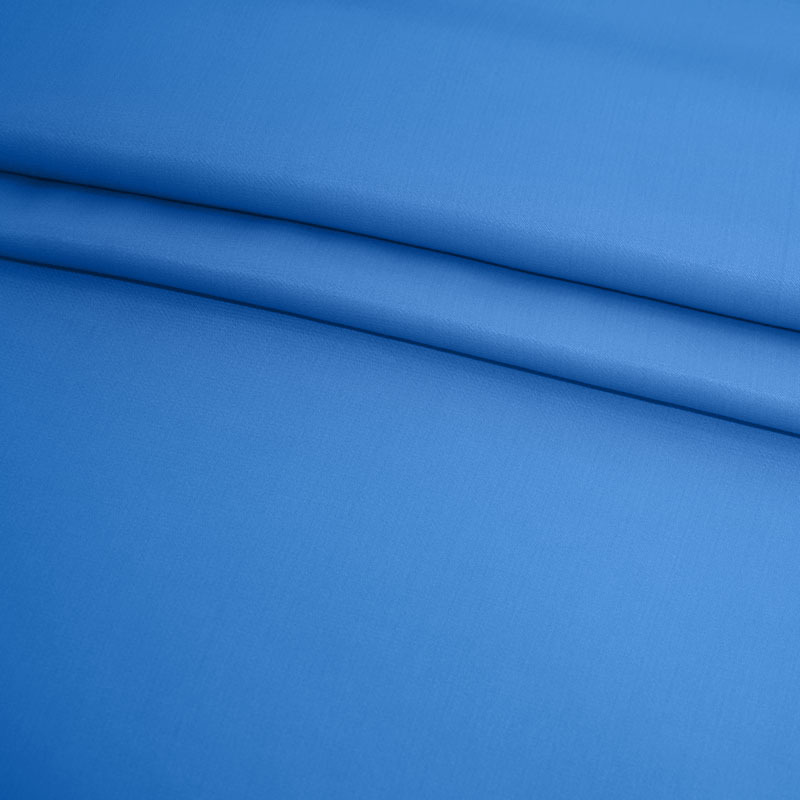 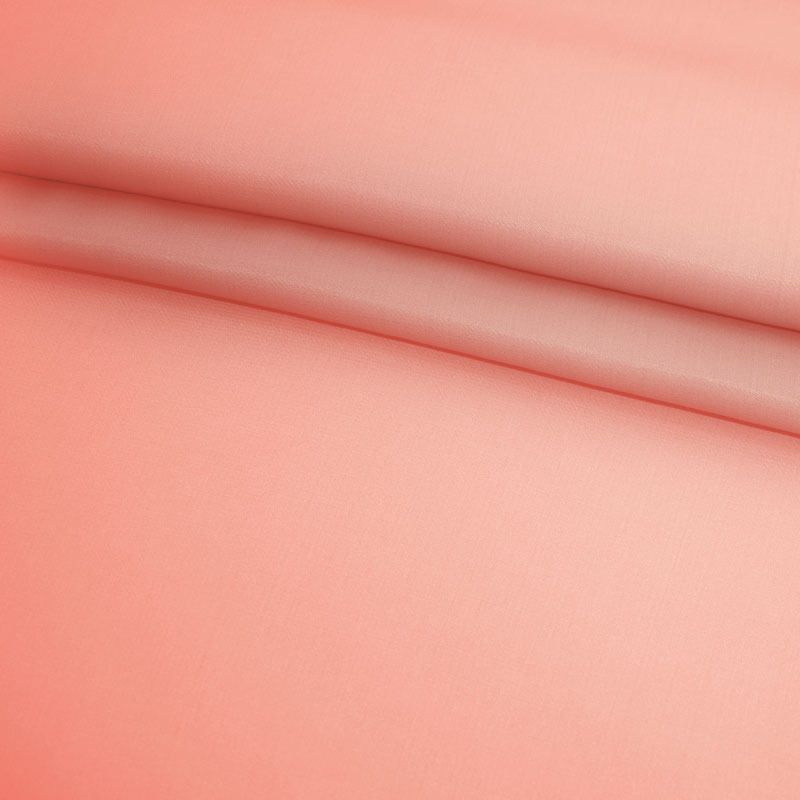 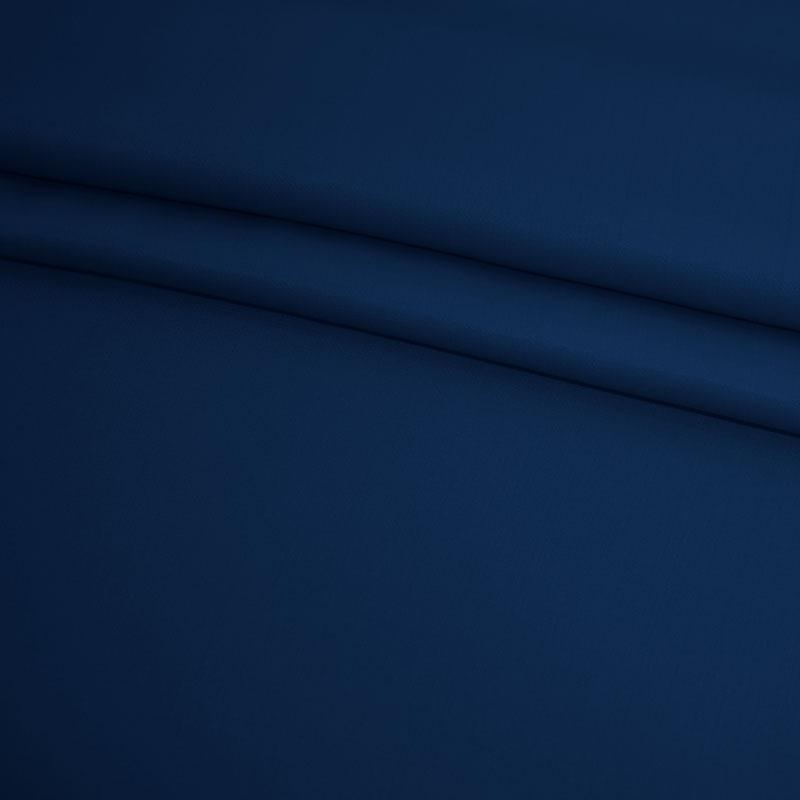 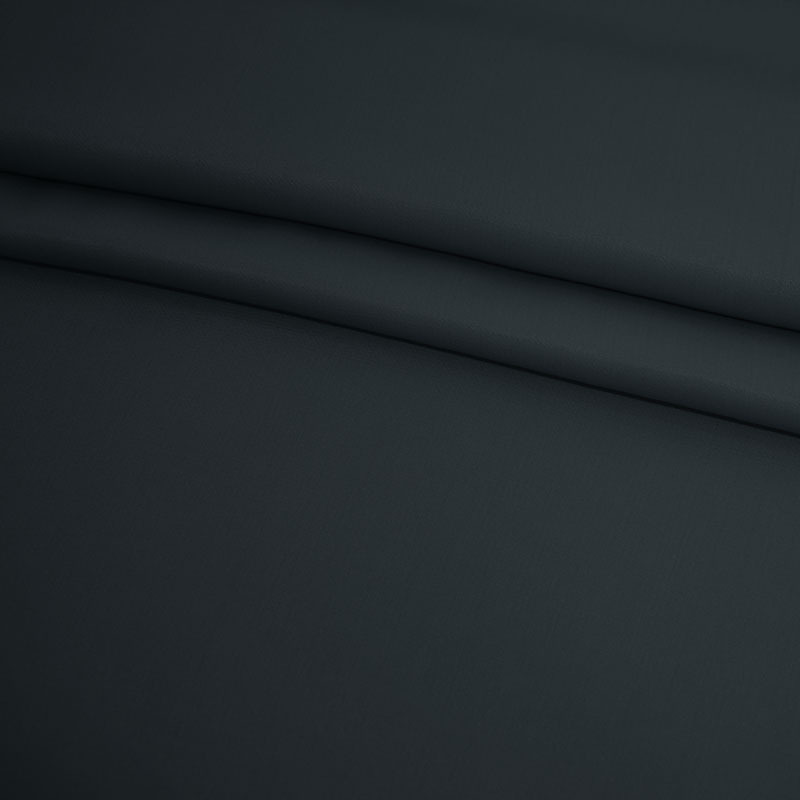 The pleats are sewn at around 2.5 inches deep but that can be totally customizable according to the requirements of our customers.